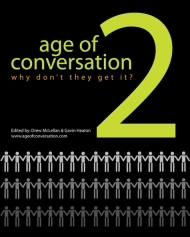 The book Age of Conversation 2: Why Don’t They Get It? will officially be out tomorrow, Oct. 29th! Please join us on the book launch tomorrow, as all proceeds will go to the children’s charity – Variety. It’s Friday again, folks. Gather around and let’s talk about Seinfeld, with a little dash of marketing. So instead of homicide, Jerry and Kramer helped save a life. Who knew that the little and refreshing Junior Mint could stave off infections? (I guess Junior Mints are the new cranberries). All in all, it was an unintended discovery – something that solved a problem. And that’s really what business is all about – solving problems. Finding pain points of the market and fixing them. But how do you find out what is causing your market pain? Well, how about asking, listening and observing? Those always seem to work (as long as you do it right). The Japanese hotel that make its money from overworked businessmen who fall asleep on the last train of the night only to wake up and find themselves at the end of the line. (The hotel is cheaper than getting a taxi). Magnavox created a TV Remote Locator after asking and observing that 55% of people loose their TV remote up to 5 times per week (that’s a lot of couch cushion diving!). The Nalgene Company discovered by observation that their plastic, lightweight and shatter-resistant water bottles appealed to outdoor enthusiast and college kids and not just to those wanting them for laboratory use. There are undiscovered market problems and unintended uses of products and services in every market. What can you discover? We have a special post for today. I had the pleasure of interviewing William Duggan about his new book, Strategic Intuition: The Creative Spark in Human Achievement. Why did you write Strategic Intuition? I wrote Strategic Intuition because I stumbled upon the idea and immediately thought it was interesting and important. In strategy, we have lots of techniques for analyzing your industry, your competitors, your own position, customer trends and the like — but none of those methods tells you how to conclude what strategy to adopt. And we have lots of techniques for planning, where you lay out the activities and milestones to accomplish your goal — but none of these methods tells you how to set a goal in the first place. There’s a missing link between strategic analysis and strategic planning: how do you get your strategic idea? That’s the question that strategic intuition answers. I haven’t seen any other answer, and I’ve done a thorough search. In a nutshell, what is strategic intuition? Strategic intuition is the selective projection of past elements into the future in a new combination as a course of action that fits your previous goals or sparks new ones, with the personal commitment to follow through and work out the details along the way. It happens as a flash of insight when your mind is relaxed and connects the dots. Modern neuroscience has overturned the idea of two sides of the brain — creativity on one side, analysis on the other — in favor of “intelligent memory”, where the brain constantly searches for a useful synthesis of a subset of elements from the huge volume it takes in and stores. As it turns out, the first great work of strategy scholarship dates from 1832 — On War by Carl von Clausewitz — and puts the same idea at the center of strategic success. Von Clausewitz gives four steps: 1) examples from history, where you take in elements of what others have done before you to succeed; 2) presence of mind, where you enter the strategic situation with no expectations of what the goal, problem, solution, or strategy should be; 3) “coup d’oeil”, which means “glance” in French, where selective elements from examples from history come together in your mind as a flash of insight; and 4) resolution, which is the determination to carry through the idea you’ve just seen in your mind. What are the differences between strategic intuition and intuition discussed in Malcolm Gladwell’s book Blink? Blink is about “expert” intuition, which is fast and works in familiar situations, the way a tennis pro knows where the ball will go from the arc and speed of an opponent’s racket. “Strategic” intuition is slow and works in new situations — that flash of insight you had last night might solve a problem that’s been at the back of your mind for a month. And in many cases expert intuition is the enemy of strategic intuition: if you enter a new situation, your expert intuition might recognize one piece of it and jump to a conclusion in an instant. Instead, you need time to let your strategic intuition search widely for all the different pieces that make up the new situation. In the military, there’s a famous case of “Slow Joe Dowdy,” the first commanding officer to be relieved of his post during battle since World War II. In the invasion of Iraq, the US troops used their expert intuition to advance quickly on the enemy army. Joe Dowdy’s troops took heavy fire from the rooftops going through Kut. He stopped on the other side and sat on a playground swing just thinking. His superior officer flew in and fired him for going too slow. As we now know, Joe Dowdy’s strategic intuition was slowly working away — he was the first US officer to realize, however dimly, that it was a guerilla war, not a conventional one. Can you give us some examples of strategic intuition found in the business world? In a series of flashes of insight, the Google guys put together four previous elements that they did not invent to make their great innovation: data mining algorithms, Altavista’s full-text web search, reverse link ranking as in academic citations, and Overture’s ad searches that display as lists rather than banners or pop-ups. Even better, their discovery changed their goal: they started out as Stanford graduate students working on e-commerce data mining and put together the four elements for that, but then others at Stanford started using their research tool as a search engine and said it was fantastic. So the Google guys switched to search. This is all in David Vise’s book, The Google Story. So are brainstorming session useless? How can marketers benefit from strategic intuition? First of all, marketers are strategists just like anyone else. They must figure out a course of action toward a worthwhile goal. Strategic intuition is the way to do that. In the book there’s a specific tool I discovered at GE that lets you do that as a team – not as a brainstorming session, but over days and even weeks if need be. Second, marketers need to remember that “stealing” elements from the past tell you more about what to do than focus groups or other forms of marketing research. I think marketers are used to taking elements from elsewhere to some degree, but they might need to be reminded how widely you need to look. That is, don’t just steal from other marketers, which is “stealing inside the box”, so to speak. To “steal outside the box”, look outside marketing. One classic example is Henry Ford: he got the idea for the moving assembly line from Oldsmobile’s first stationary assembly line, plus the moving overhead line from the slaughterhouses in the Chicago stockyards. See how widely old Henry opened his mind to look for elements to combine? We all need to do the same. How can we find out more about strategic intuition? You mean, after you read the book? In New York City I’ll be doing a two-day workshop March 20-21 through Columbia Executive Education. You can go back to my earlier research reports, Napoleon’s Glance and The Art of What Works. Or go to the sources: On War by Von Clausewitz, Intelligent Memory by Barry Gordon and Lisa Berger, or How Breakthroughs Happen by Andrew Hargadon. Strategic Intuition cites other references that you can follow up too. Bonus question: What is your favorite Seinfeld episode? For more information, check out William Duggan’s new book and his web site to read the first chapter for free! Here is your assignment (if you choose to accept it). Drew McLellan and Gavin Heaton have once again teamed up to write another book and at this very moment are gathering authors (and aspiring authors) who would like to help write it. You remember Age of Conversion? Yeah, it’s like that but hopefully even better. For more details click here. Even if you do not want to be an author in the book, you can always help choose the topic by voting here. This post will self destruct in 5 seconds. Often times you’ll finish watching a movie and remark, “that movie was good but I liked the book better.” Why is that? I think there may be a number of reasons but one reason in particular seems very fitting. Maybe it’s just me, but the “movie” in my head that plays as I read a book blows away most movie director interpretations. As I read, I vividly capture the look and mood of each character and the surroundings as I see it. The “movie” I watch in my head is my interpretation and therefore is customized to me. 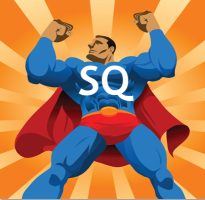 So what does this have to do with marketing? Often times while experiencing your product, a consumer will also play a “movie” in their heads. A young teenager at the Apple store will picture in her mind showing her friends the latest iPod and the associated feelings of being part of the “in” crowd. An otherwise stuffy accountant may imagine himself on his new Harley Davidson and the feeling of freedom. A mother may vividly picture herself in her new home with her children surrounding her by the fireplace as she reads them a bedtime story. My own “movie” showing my hopes and aspirations is better than any marketer could ever dream of because it’s my fantasy and it is personalized and customized to me. Sometimes as marketers it’s best to involve ourselves as little as possible with the consumer movie making process. Sure, we must give them something worthy of a dream. And like any great storyteller, we must suggest tangible imagery that conjures up vivid and relevant desires in the mind. However, once this is done, my advice is to get out of the way and let the consumer customize her own movie. The best swimmers are always in the pool. Become the luckiest person you know. Do what nobody else is willing to do. Authenticity, not charisma. Friendly always wins.